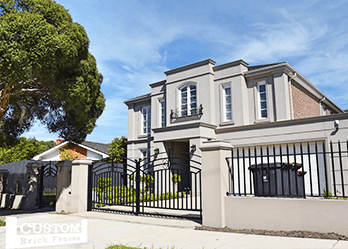 For the best in brick and steel fencing in Donvale, there’s only place to come– Custom Brick Fences. 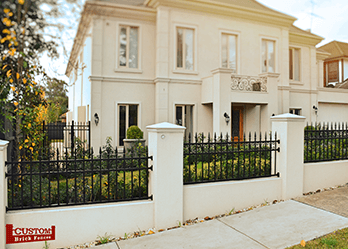 We can provide a wide range of gates, including both pedestrian gates and driveway gates, to Donvale customers. We know how to complete an efficient job and have the all the experience necessary to handle the requirements of the local council in your area. This includes acquiring all building permits in a timely manner and making sure that your new fencing in Donvale is compliant and up to code. We have a range of gates available for purchase, including pedestrian gates, electric gates, swing gates and sliding gates. Call us today for your free quote! 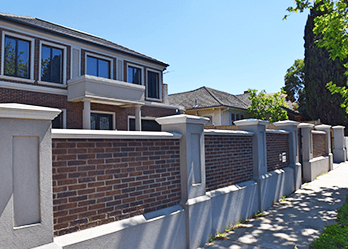 For brick fences and automated sliding and swing gates in Donvale, it must be Custom Brick Fences. Got a sloping driveway? A sliding gate can be a great option for a home set on an incline. It will draw away perpendicular to the driveway, so that the slope does not interfere with opening and closing of the gate.